The crash occurred in the townland of Kilcop on the Dunmore Road. 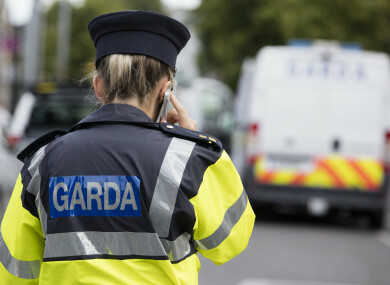 A MAN IN his 40s has died after an early morning road crash in Waterford. The man was cycling in the townland of Kilcop on the Dunmore Road, when he was involved in a collision with a car at around 7am. He was pronounced dead at the scene, and his body was removed to University Hospital Waterford. That stretch of road is currently closed, pending an examination by garda forensic investigators. Local diversions are in place. Gardaí are appealing for witnesses to contact Waterford Garda Station on 051 305300, the Garda Confidential Telephone Line on 1800-666-111 or any garda station. Email “Cyclist dies in Waterford road crash”. Feedback on “Cyclist dies in Waterford road crash”.